Being the avid phone fans that we are, we&apos;re counting down the days to MWC 2019, the biggest mobile tech industry event of the year – and we&apos;ve just been given a sneak preview of some of the phones on the way from battery company Energizer. 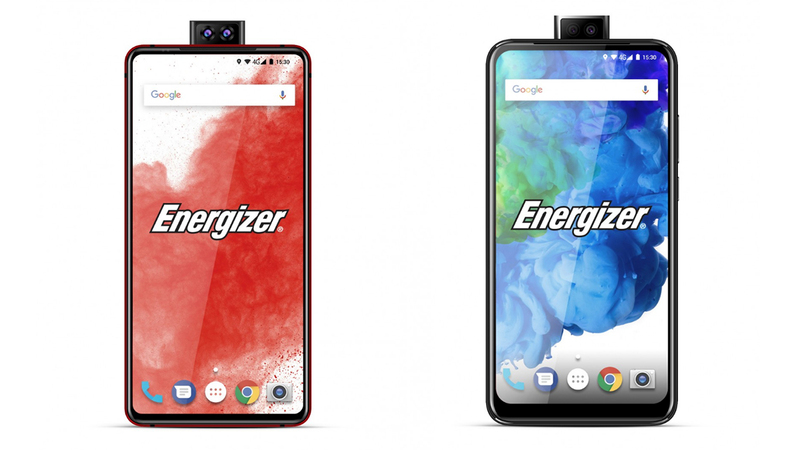 We&apos;ve already had official word that Energizer is bringing no fewer than 26 handsets to the MWC party at the end of February, and thanks to GSMArena we&apos;ve now got official-looking shots of a handful of them. Don&apos;t get too excited though – in terms of specs these phones are going to be distinctly mid-range. You&apos;ll also see how when the camera is raised on the U620S Pop and U630S Pop models, the phones look like the shape of a battery – clever, huh? Other phones showcased by GSMArena show handsets with small tear-drop style notches instead. Energizer – which has briefly dabbled in smartphones before – has also said it&apos;s readying a foldable phone and a phone with a gigantic 18,000mAh battery for MWC 2019, so consider our appetite for our Barcelona trip well and truly whetted.